Today, you as the consumer have healthcare choices. You can choose to go to a large hospital emergency room (ER) or the freestanding emergency center near your home or office. You can also choose to visit your neighborhood urgent care center. 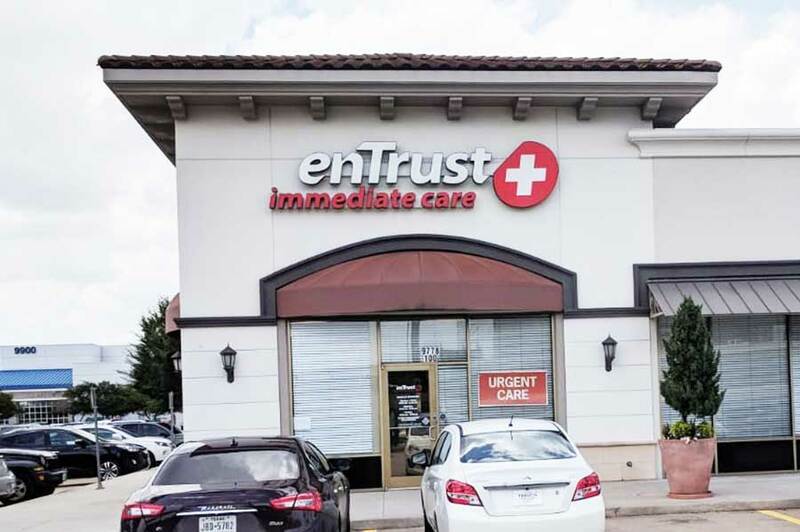 In Houston, TX, enTrust Immediate Care takes pride in our ability to deliver top quality urgent care at affordable prices. We believe we are different and better than the ER down the street from your home for many reasons. enTrust Immediate Care clinic is a top-quality medical facility equipped with state-of-the-art laboratory and x-ray equipment. That makes us better suited to handle a full range of medical issues ranging from influenza (flu) to fever, pneumonia, asthma, pain, allergic reactions and more. At enTrust Immediate Care, we do not require an appointment to see you or your family. We provide the medical care you need on a walk-in basis, 7 days a week, 365 days a year. This means that you do not need to call us first or set up an appointment. You can just walk into our clinic anytime during business hours and we will be delighted to see you. We provide much more affordable medical services that big hospital emergency rooms and freestanding emergency centers. Also, we accept most major health insurance plans as well as Medicare. This sets us apart from the rest. We specialize in low cost medical services – much lower than hospital ER and we take care of all the paperwork. All you have to do is just walk in, get the needed services and get on with your life. Do you know that not all urgent care centers demand that their doctors be board certified? We do while others may try to cut corners. To ensure our clients receive the best medical services, our physicians are board-certified and our nurses are licensed. 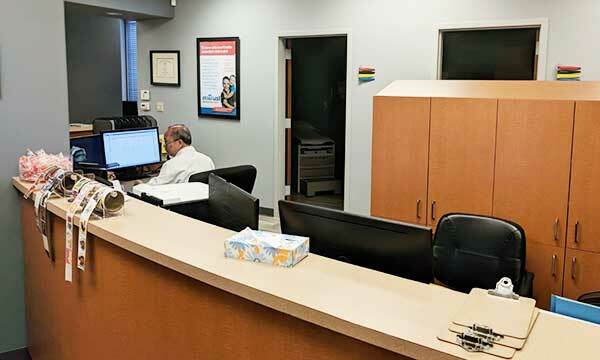 We are staffed with doctors who are experienced in emergency medicine and urgent care. Our staff are trained to take care of your needs quickly and thoroughly so you are on the road to better health faster. We believe your medical care should be provided in an environment of compassion and trust. Our physicians are trained to listen to your needs and treat you accordingly. They ask the right questions, listen to your answers and proceed with treatment based on your answers.